The warm and welcoming atmosphere at Freeman & Moore belies the credentials of the two highly respected attorneys who established the firm – one a successful litigator before the United States Supreme Court, the other recognized throughout South Carolina as a certified specialist in estate planning and probate law. Today Freeman & Moore provides premier estate planning, probate and trust administration services to clients in Greenville, South Carolina. Our caring approach and high level of professionalism is designed to help you navigate the entire process with ease. Freeman & Moore would not exist without the vision of David Lynn Freeman, whose legacy is evident in every aspect of the firm’s practice. As we remember him, we trust his legacy reverberates well beyond the doors of Freeman & Moore. A Pickens County native, David Freeman’s life spanned decades of professional and community service and stewardship. At the time of his death, he was actively engaged in the practice of law at Freeman & Moore, having previously been a partner in the Wyche Law Firm 1964 – 2010. He began his legal career in 1949, upon graduation from Harvard Law School, at the firm which became Watkins, Vandiver, Freeman & Kirven in Anderson, South Carolina. David Freeman was elected president of the South Carolina Bar Association in 1971. He served on the American Bar Association Committee on Continuing Education and was elected to the American College of Trial Lawyers in 1965 and to the American Law Institute in 1975. For 25 years, he was listed among The Best Lawyers in America for Corporate and First Amendment Law. He was known nationwide as a First Amendment law expert and successfully tried many cases defending the freedom of the press. Capping a long and distinguished legal career, he claimed that one of his most memorable moments was his appearance before the United States Supreme Court in a landmark business case. David Freeman’s contributions to the legal profession were matched by many years of civic service. After graduating from the University of South Carolina, he served as a naval officer in the Pacific Theater during WWII. While in Anderson, he was elected to the South Carolina House of Representatives. When he transferred his energies to Greenville in 1964, he was elected president of the Downtown Greenville Rotary Club. 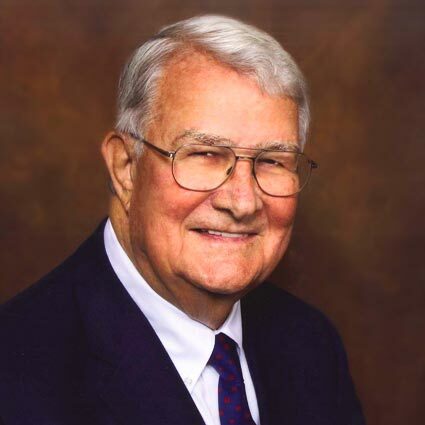 He advised many of Greenville’s community and civic associations, serving as president of the Greenville Symphony Association, as chairman of the Professional Division of the United Way and as counsel to the Gateway House and to the Greenville County Museum of Art. For many, David Freeman’s most outstanding contribution to the Upstate community began in the 1980s with the envisioning, fundraising and implementation of the Peace Center for the Performing Arts.